Panasonic HDC-TM900 High Definition Camcorder for $599. Expires 1/31. 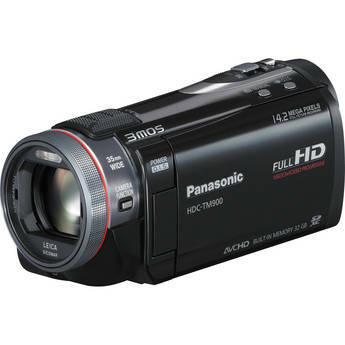 The HDC-TM900 High Definition Camcorder is a high-end HD offering from Panasonic. Right off the bat a few of the camera's most desirable features include: 1920 x 1080/24p recording, a 32GB internal flash memory, an SD memory card slot, the option to record in 3D, and a quality image sensor system. These features alone give you detailed, beautiful images, a plethora of recording space, and the ability to shoot fun and unique movies in 3D with an optional lens.